Helicopters, police boats search Lake Kinneret (Sea of Galilee) for missing Korean tourist who jumped from a boat. 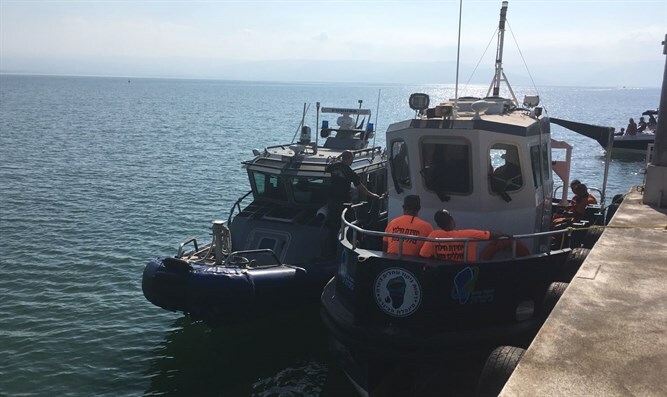 Searches for a tourist last seen in the Kinneret (Sea of Galilee) Thursday afternoon continued Friday morning, with helicopters joining police boats to scan Israel’s largest freshwater reservoir for signs of the missing man, a police spokesperson said. The tourist, a member of a South Korean pilgrim tour group, apparently jumped from a boat near Ginosar Beach in the Kinneret. Divers and volunteer searchers have joined the effort to locate the missing man. It is unclear why the man jumped from the boat, and police are investigating the circumstances of the incident.